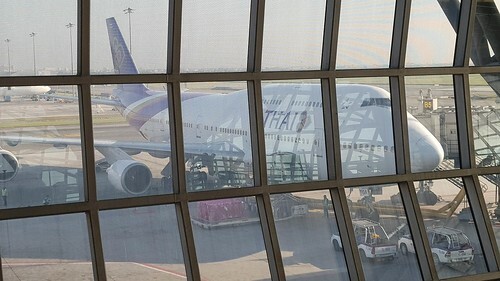 This time I will be reporting on my recent flight with Thai Airways from Bangkok to Phuket on their B747-400. I originally booked this flight due to the price being only $150AUD, which I thought was a great price to travel onboard a B747 in business class and my goal was to get in the hump of the 747. I had no idea what was about to happen when I checked in online……. 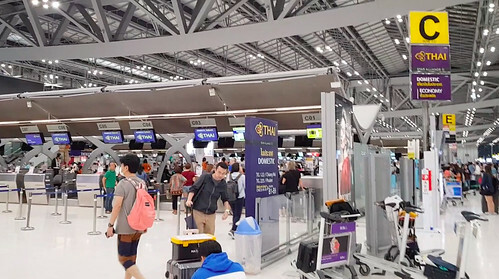 Now as this was only a domestic flight with Thai, online check in was not available until 48 hours before the flight. I eagerly waited for online check-in to become available hoping to secure an upper deck seat however to my surprise I was only able to select seats in the First-Class section of the nose. Now, as much as I wanted to go in the top deck, I was not going to turn down the opportunity to sit in a First-Class seat for an hour. I was so excited by being able to be in first class section that I went to the check in counter purely to get a boarding pass for the flight. I am not sure why this occurred as I hold no Thai or Star Alliance status - however I did purchase my ticket directly through Thai's website. The lounge was mediocre at best. Don’t get me wrong the staff were lovely, polite and attentive with the lounge providing comfortable seats and all the usual amenities. 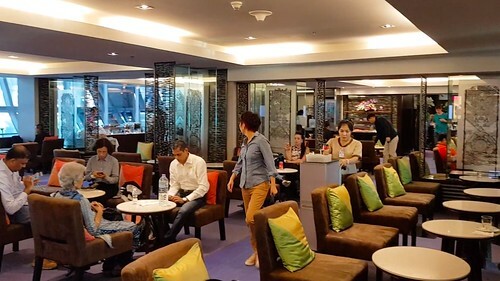 However, I was expecting more from the Royal Silk domestic lounge considering Thai is a full-service Star Alliance airline. The overall ambience of the lounge was disappointing, and it really needed a renovation. Even for a domestic lounge this fell short of expectations. Boarding was called promptly on time with First/Business/Star Alliance top Tier passenger invited to board first. Upon boarding the aircraft, I was welcomed by the First-Class flight attendant by first and last name. Then given a tour of my suite and its features. Pushback occurred on time and we proceeded along the taxi way to the runway. There were a number of widebodies queued waiting to depart in front of us. This was no bother as it meant I had the best seat in the house to watch these giants of the skies take off. Finally, it was our turn, with the four rolls GE engines taking us skyward with ease. Where do I start with the seat – it was amazing. Of course, being long haul first class, the seat turned into a fully flat bed. 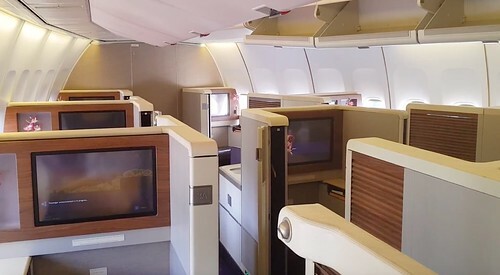 The suite area had a large IFE screen directly opposite the seat and also featured heaps of storage including a wardrobe for hanging items in flight. The tray table was massive as it has been designed so you and a companion can dine together. 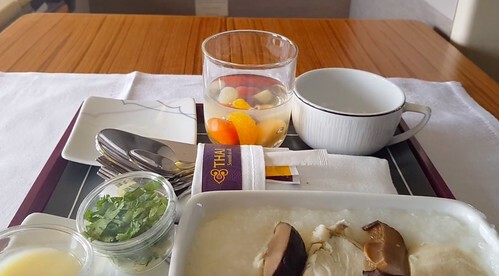 The meal on this flight was not their normal first-class service, as I had booked a domestic business class ticket the meal that goes with this fare was served. The meal barley took up any of the table space. On this trip there was only one option, Fish Congee. I am not a fan of Fish Congee however this was still tasty. As the saying goes, all good things must come to an end and we started our approach into Phuket. 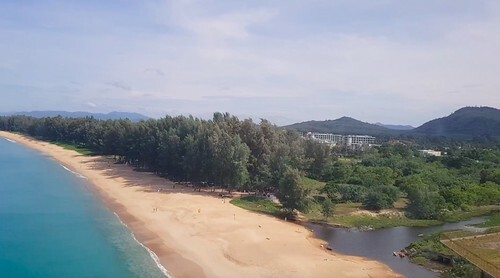 The approach from the East into Phuket is picturesque as you come in over the beach before hitting the runway. This beach is popular with spotters as you get up close with some great widebodies coming into land. The plane I was on was HS-TGA, first flown with Thai in 2001, which at the time made it 17 years old. The old girl rattles a bit upon hitting the tarmac. Check out my video at about the 05:00 mark to see what I mean. Let me finish by saying, I have only just started uploading my trip reports so any feedback or comments is appreciated and welcomed. I do this purely out of my love for commercial aviation. 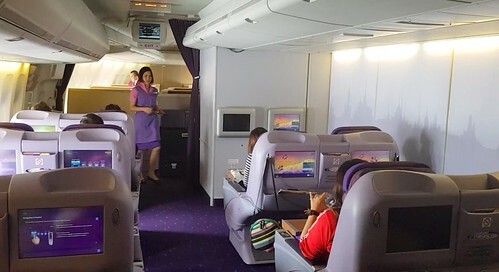 Wow you did get a good seat Now I know what to try next time in Thailand, I want in the front AND in the hump of B747. I have flown widebodies on BKK-HKT a couple of times but always missed 747. I hope it's still there next time... Yes I agree, the Royal Silk domestic lounge is disappointing. Good luck chasing the now elusive queen of the skies HELyes!